Students beginning the new academic year at U.S. Marine Corps Command and Staff College will examine the works of military theorists such as Carl von Clausewitz, Alfred Thayer Mahan, and Mao Tse-Tung to uncover their approaches to strategy and war; study the writings of Graham Allison and Daniel Kahneman to appreciate their perspectives on organizational behavior and cognition; and familiarize themselves with the volumes of joint doctrine to better understand joint-force employment. Books and articles on other topics—encompassing international affairs, ethics, morality, law of war, and critical thinking—will also crowd their shelves. But whither the art of decision-making? Students will devote a fair amount of time reading, writing, and talking about decisions, but not much time actually practicing how to make them. To address this education gap, American professional military education institutions should re-emphasize the relevance of wargaming to prepare officers for addressing tomorrow’s complex problems. Wargames provide leaders with decision-making practice, support innovation as part of a greater “cycle of research,” and foster greater cultural acceptance of subordinate initiative, flexibility, and adaptability. Gaming has flaws like any other analytic method, but it is a powerful learning tool that warrants wider consideration in the schoolhouse and beyond. Numerous authors have written about the renewed interest in the U.S. defense wargaming enterprise. Most notably in December 2015, Deputy Secretary of Defense Robert O. Work and U.S. Air Force General Paul J. Selva, Vice Chairman of the Joint Chiefs of Staff, wrote about the need to “revitalize” wargaming to prepare for future threats and operating environments. Other authors provided advice to senior and executive leaders for optimizing wargame results or have presented a blueprint for integrating historical wargames into programs of study at top-level schools. This article argues for a greater focus on gaming to complement existing educational programs that produce commanders and staff officers who are able to overcome future operational and institutional challenges. No doctrinal definition of a wargame currently exists. Game designers gravitate toward a definition offered by Dr. Peter Perla, a longtime wargame designer at the Center for Naval Analyses: “A warfare model or simulation that does not involve the operation of actual forces, in which the flow of events affects and is affected by decisions made during the course of those events by players representing the opposing sides.” In military circles, wargames are often conflated with other analytic activities not involving the employment of actual forces, like course of action wargaming, tabletop exercises, tactical exercises without troops, and rehearsal-of-concept drills. Most commonly, wargames are confused with the course of action analysis phase of the U.S. military planning processes, during which options are methodically examined and adjusted based on enemy capabilities and limitations, potential actions and reactions, and characteristics of the environment. During course of action wargaming, a planning team refines existing options with the help of a cell that role-plays and represents the activities of potential adversaries and other factors that could threaten a mission. Although tabletop exercises, tactical exercises without troops, and rehearsal-of-concept drills are scenario-driven events that study decision-making, they de-emphasize the contest of wills that Clausewitz argued is so critical to understanding conflict. Students are divided into a friendly “blue” side and an enemy “red” that mimics the behaviors and doctrine of the chosen adversaries. Both sides prepare plans based on a given scenario and force disposition at the start of the game. Students employ their forces against each other—making decisions—based on their respective plans during game moves representing periods of time (days, months, or even years). Umpires adjudicate the results of play based on predetermined rules and their own experiences. Observers record players’ actions, decisions, and game-play results for subsequent discussion and analysis. A Naval wargame on the third floor of Luce Hall, United States Naval War College, circa 1905–1906. Wargames may also feature seminar discussions addressing higher-level institutional issues such as concepts, capabilities, and force posture. This discourse informs a shared mental model that influences how participants see the operational challenges. Within this discourse, with apologies to Vince Lombardi, winning isn’t the only thing. Rather, the most important output is the shared understanding that represents potential outcomes, guides a commander’s actions, and fosters an environment for learning. In the process of playing a wargame, players generate insights about themselves, the enemy, and the environment for further examination in subsequent wargames, exercises, and analysis to support innovation, as they did for the U.S. Navy before World War II. Gaming advocates, including Work and Selva, have highlighted wargames played in the twenty-year period between World War I and II as examples for how they could support institutional innovation. In particular, wargames run by the Wehrmacht at the Kriegsakademie and the U.S. Navy at the Naval War College illustrate wargaming’s utility. At the Kriegsakademie between 1919 and 1939, some students had never experienced the savage combat of the First World War and never faced decision-making under fire. 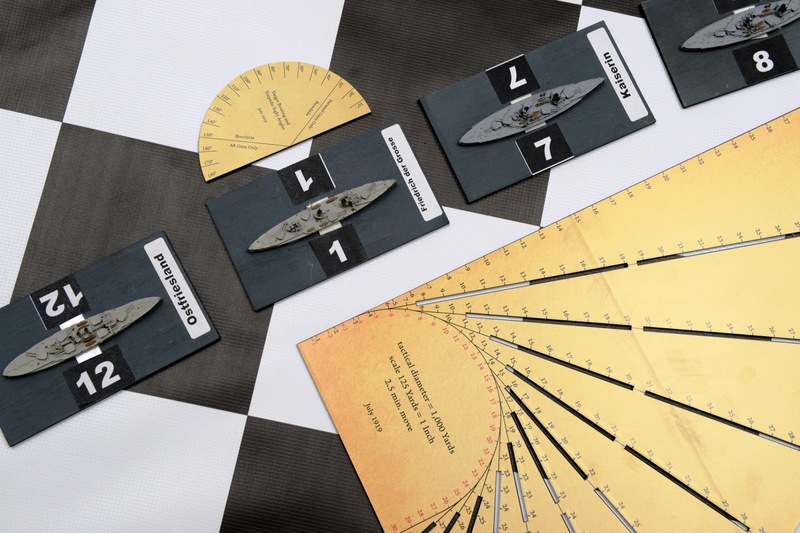 Wargaming integrated into the curriculum gave these future leaders an opportunity to practice making decisions within the constraints of a given scenario in the friendly confines of the schoolhouse. When officers graduated and joined their units, gaming helped superiors and subordinates better understand each other’s views about mission and intent, and helped commanders appreciate subordinate leaders’ strengths and weaknesses. During the interwar period, the U.S. Navy used wargaming at the Naval War College to complement live-force exercises and studies, leading to the evolution of new tactics, fresh approaches to campaign planning, and development of new capabilities. Students and faculty members at Newport, Rhode Island, participated in more than 300 wargames. Roughly half of these games focused on campaigns and tactics, while the other half studied strategy in the Pacific. The college worked closely with planners at the Office of the Chief of Naval Operations to incorporate elements of War Plan Orange into the games. College officials forwarded game insights to the Office of the Chief of Naval Operations, which informed the design of the annual fleet problems. The fleet tested the ideas generated by the wargames during the exercises, the results of which planners sent back to Newport to inform subsequent games, experiments, and exercises. Wargaming can also encourage subordinate initiative and adaptability, which aligns with contemporary American approaches to command (mission command for the U.S. Army and mission-type orders for the U.S. Marine Corps). In Germany, Auftragstaktik became the preferred approach to command in which a commander issued to a subordinate an intent for a given mission, and the subordinate received the freedom to independently plan and execute the mission. During wargames played before the Second World War, Wehrmacht officers reasoned through problems presented by their superiors during games. They examined and questioned the assumptions behind their own decisions in wargames. This introspection cultivated an environment in which subordinate leaders became less fearful to deviate from their original tasks and adjust to evolving situations during combat in order to meet their commander’s intent. Wargaming helps solve many problems when used with other tools, but it should not be applied to every analytic effort. Gaming is a people-driven tool that is effective at examining decision-making, exploring issues, explaining implications, and identifying questions for future study. However, it is not an effective tool for calculating outcomes, proving theories, predicting “winners,” producing numbers, and generating conclusions. There are several opportunities to emphasize wargaming in professional military education. First, service schoolhouses can integrate games into curricula starting at career-level courses to provide young leaders with tactical decision-making experiences applicable for their next jobs as company commanders, flight commanders, or department heads. Second, at intermediate-level schools, a wargaming curriculum could teach students how to develop, plan, and execute wargames on their own. This additional knowledge may assist in fostering decision-making skills at the field-grade level, help officers become effective participants in service-level games, and encourage them to continue using games to train operating forces. Several such informal efforts occurred at Marine Corps University in February 2016, when faculty developed a wargame called “Sea Dragon” pitting students from Marine Corps Command and Staff College against students from the Marine Corps War College. Third, top-level schools could instruct students how to apply wargames at the institutional level for developing future strategies, concepts, capabilities, and resourcing decisions inside the labyrinthine American defense establishment. The Naval War College has taken major steps in this direction, truncating old coursework to make room for more wargames and operational-level planning into its joint military operations curriculum. The newly designed course features three “active-learning” wargames in which students receive immediate feedback based on their plans and actions against adversaries. Wargaming has a perfect home in military education, where officers blend their operational experiences with new methods and fresh approaches. Wargames can provide budding leaders with venues to practice decision-making, support innovation as part of a greater cycle of research, and ultimately encourage initiative and adaptability. Games cannot address all problems and must be tailored to fit the problems under examination. However, gaming has helped past military leaders prepare for daunting threats in future, uncertain environments. This tool may serve Americans well again ahead of the next conflict. Jeff Wong is a U.S. Marine Corps Reserve infantry officer and a graduate of the U.S. Marine Corps Command and Staff College. He is also the president of StratEdge Consulting LLC. The views expressed in this article are those of the author and do not reflect the official policy or position of the U.S. Marine Corps, the Department of Defense, or the U.S. Government. Header image: Tools of the trade - ship models representing German ships in the Battle of Jutland. These were used by the U.S. Naval War College during a re-creation wargame conducted on 10 May 2016 to commemorate its centennial anniversary | Photo courtesy of the USNWC. Dr. Peter Perla is credited with first using the term “Cycle of Research” to describe how wargames, exercises, and operations research can mutually support military innovation. Contrast the cycle with the use of the same tools in isolation and independently. Peter Perla, The Art of Wargaming (Annapolis, MD: Naval Institute Press, 1990), 287. Robert O. Work and Paul Selva, “Revitalizing Wargaming is Necessary to be Prepared for Future Wars,” War on the Rocks, December 8, 2015 (accessed May 18, 2016). http://warontherocks.com/2015/12/revitalizing-wargaming-is-necessary-to-be-prepared-for-future-wars/. See Elizabeth Bartels, “Getting the Most Out of Your Wargame: Practical Advice for Decision-Makers,” War on the Rocks, January 26, 2016 (accessed May 27, 2016): http://warontherocks.com/2016/01/getting-the-most-out-of-your-wargame-practical-advice-for-decision-makers/ and James Lacey, “Wargaming in the Classroom: An Odyssey,” War on the Rocks, April 19, 2016 (accessed May 27, 2016): http://warontherocks.com/2016/04/wargaming-in-the-classroom-an-odyssey/. Perla, The Art of Wargaming, 164. The Joint Operations Planning Process, Military Decision-Making Process, and Marine Corps Planning Process all contain a course of action analysis phase where the process intends the performance of wargaming. Red “cells” and red “teams” are frequently confused for each other. A red cell is an entity typically led by a staff intelligence officer tasked with representing enemy doctrine and its likely courses of action. A red team is tasked with challenging perceived norms and assumptions made by a commander and his staff in order to improve the validity and quality of a plan. Headquarters, U.S. Marine Corps, MCDP 5-1, Marine Corps Planning Process (Washington, DC: Headquarters, U.S. Marine Corps, 2011), 1-5. Carl von Clausewitz, On War, ed. and trans. Michael Howard and Peter Paret (Princeton, NJ: Princeton University Press, 1984), 75. Milan Vego, “On Military Creativity,” Joint Force Quarterly 70 (Washington, DC: National Defense University Press), 84-85. Martin Van Creveld, Wargames: From Gladiators to Gigabytes (Cambridge: Cambridge University Press, 2013), 166. Mental models are psychological representations of real, hypothetical, or imaginary situations. Princeton University, “Mental Models and Reasoning,” (Princeton, NJ: Princeton University, 2016), accessed February 11, 2016: http://mentalmodels.princeton.edu/about/what-are-mental-models/. Milan Vego, “German War Gaming,” Naval War College Review 65 no. 4 (Newport, RI: US Naval War College, Autumn 2012), 110. Perla, The Art of Wargaming, 287. Van Creveld, Wargames: From Gladiators to Gigabytes, 166. John T. Kuehn, Agents of Innovation: The General Board and the Design of the Fleet That Defeated the Japanese Navy (Annapolis, MD: Naval Institute Press, 2008), 12-13. Michael D. Krause, “Moltke and the Origins of the Operational Level of War,” Historical Perspectives of the Operational Art, Michael D. Krause and Cody R. Phillips, eds. (Washington, DC: Center for Military History, 2005), 141. Peter Pellegrino, “What is a War Game?” lecture, U.S. Naval War College, posted December 20, 2012 (accessed May 26, 2016): https://www.youtube.com/watch?v=maHpGR-Vj4Q. Daniel L. Kuester, “Naval War College Overhauls Joint Military Operations Curriculum,” U.S. Naval News Service, May 19, 2016 (accessed May 27, 2016): http://www.navy.mil/submit/display.asp?story_id=94781.